In recent years the Association has made strides with having a poster board at various meetings, especially in conjunction with our annual meeting. In 1990 Rich LeClerc worked hard to upgrade the quality of this poster. In 1990 a resolution was passed at the annual meeting in Denver, CO regarding riparian zones. A considerable debate followed the 1990 meeting regarding the location of the 1991 meeting. It was decided to have the NMFWA meeting in conjunction with the DoD Natural Resources Conference. Many problems ensued, and the general consensus seemed to be that this arrangement was not in NMFWA’s best interests. NMFWA once established itself as a credible non- voting representative to the Defense Natural Resources Council since the mid- 1980s. This was a major step in keeping Association Board and members informed as to upcoming issues and assuring the Council considered the Association’s views. In 1994 Defense renamed this Council, and the Association was informed that it was not welcome at the meetings. In 1991 the notion that Natural Resources should integrate itself with Environmental programs was given considerable thought. Although the Association on this matter took no formal actions, many feel that moving in this direction is in our best interests, particularly since this integration is occurring at command levels. President Slader Buck in his 1990-92 term of office made particularly significant strides in using the volunteer resources of the Association. Under his leadership the Association grew to depend upon more of its members for action rather than a select few. This action will allow NMFWA to be more active in the future. In 1991 Mark Littlefield (Fort Ord, CA) agreed to chair a committee to draft legislation to put Defense land management policy into law (Military Lands Management Act). This effort got a good start but faltered when Littlefield left for another position outside DoD. In May 1992 several Association interested members had a meeting in Denver, CO with President Thomas Wray presiding to discuss this legislation. A committee was formed, chaired by Stout, to attempt to establish objectives for this proposed legislation. This committee presented its list of objectives to the NMFWA Board in late summer 1992. This committee’s efforts eventually became the Sikes Act Improvement Amendments of 1995 after a Sikes Act Committee was formed in 1993 under Marjorie McHenry and later Junior Kerns. 1992 began on a sad note for the Association. On February 4th Past President Larry Adams died following a lengthy illness. President Thomas Wray was the first Association representative to the Program Committee for the North American Natural Resources Conference. About 125 members attended the 1992 annual meeting. The event had a new “show and tell” aspect, which was very popular. This evening reception included various presentations from installation personnel as well as a variety of hors d’oeuvres made of game meat and regional specialty products. ​In early 1993 the Association sent an Action Alert to its members to respond to an attempt by Defense to send $40 million dollars of Legacy Act funds back to Congress. President Thomas Wray also sent letters to appropriate Defense and Congressional officials. President Wray testified (taking leave from his job) in favor of the Sikes Act on November 3, 1993. This was the first occasion that an officer in the Association testified in Congress on behalf of the Association. Thomas Wray led the Association in its longest and most challenging battle for the Sikes Act during his tenure in office. He will be remembered for his work on behalf of both the Legacy Act and the Sikes Act. In March 1994 Junior Kerns assumed the office of President, and he personally assumed the chair of the Sikes Act Committee as well. During this Sikes Act process, virtually the entire membership became involved. A special Sikes Act session was held during the 1994 meeting in Anchorage. On June 15, 1994 Gene Stout testified jointly for NMFWA and NWF on behalf of the Sikes Act before the House Committee on Armed Services. A special issue of the FAWN was produced in August 1994. Hundreds of phone calls and letters went to members of Congress. The bill passed the House in September 1994. In October Association efforts were directly responsible for moving the bill through the Senate Committee of Environment and Public Works, mostly through personal efforts of Kerns. Unfortunately, the bill died on the last day of the 103rd Congress due to the Senate Minority Leader having a conflict with the Senate Committee on Environment and Public Works. In early 1995 Kerns worked diligently to get this bill reintroduced by the new Congress, and this happened in late February. Junior Kerns testified at the House Committee hearing on behalf of the Association on March 16, 1995. The bill passed out of the House in late summer. In 1996 President Tom Poole took responsibility for this Committee. The Sikes Act died in the Senate in 1996. The Association submitted a proposal for a Legacy Act grant and this was approved. The Association established three workshops on Natural and Cultural Resources Communications. These were held in 1995, 1996, and 1997 at McChord AFB, WA, Fort Sill, OK, and Naval Surface Warfare Center, Indian Head, MD. Wray was Project Officer for this effort, and Kerns was the contractor. It is the first time the Association applied for an outside grant. This effort led to establishment of a Communications Workshop, Verbal Victories: A System for Surviving Difficult Communication Situations, in conjunction with the 1997 meeting in Washington, DC. Thomas Wray did most of the work for this workshop. As the Association continued to grow rapidly, its financial stability also grew. Good attendance (over 200) at the Anchorage meeting in 1994 added to that financial stability. There was over $15,000 in the treasury after the 1994 meeting. President Kerns established a good relationship with TWS to schedule an informal Association meeting at the TWS annual conference. Congress proposed an exemption of military lands from provisions of the Endangered Species Act just before the Association’s March 1995 meeting. This attempt created considerable concern within the Association, and a resolution opposing such exemptions was passed during this meeting. NWF contacted Association members for material to be used to attempt to beat this issue, and NWF helped the Association disseminate its resolution. The proposed exemption was withdrawn. President Junior Kerns was the first President under the new limited one one-year term for President. Under President Kerns’ tenure, the Association grew tremendously with regard to its stature as an organization. Valerie Morrill chaired a Development Committee in 1994-1996 to determine future directions for the Association. There is considerable impetus for broadening the Association’s “Fish and Wildlife” emphasis to include other natural resources disciplines. This could include adding other training sessions at professional meetings of foresters, agronomists, range conservationists, and wildlife meetings, and it would likely involve a name change for the Association. A 1996 questionnaire showed considerable support for this change, and a Bylaws Committee was appointed to bring such changes to the membership for a vote. ​The NMFWA Board of Directors met by telephone conference call in June 1995. The meeting mostly involved the Sikes Act, but it was important in that it represented the first such official telephonic Board meeting. The Association held an informal Board meeting at the Annual Meeting of TWS in Portland, Oregon in September 1995. It is important that the Association is truly becoming a year-around organization with meetings and functions between Annual Meetings. Poster Chair, Chris Bandy - Fort Carson, proposed preparing an Association video for use at our poster sessions. This effort is ongoing, and Bandy used canned videos for the 1996 meeting poster session. The 1996 meeting was the first during which concurrent sessions were required to accommodate all papers. Paper quality was exceptionally good at this meeting. In 1995 the Association worked with DoD to establish a law enforcement training session at the Federal Law Enforcement Training Center (FLETC), Glynco, GA. Initial efforts were unsuccessful due to FLETC’s objection to a private Association representing Defense in this effort, even though DoD requested this arrangement. The Association had 757 members and a balance of $13,894.48 at the end of 1995. Most 1995 income ($4,000) was from the Fort Sill refresher law 14 enforcement course. No similar course was scheduled during 1996 since it was thought that FLETC would be providing this course. In 1996 NWF sent a Certificate of Recognition to the Association, recognizing Association work on behalf of natural resources on military lands. It was reported at the 1996 Business Meeting that new members are more representative of environmental and other non-Fish and Wildlife employees as well as from the National Guard, Coast Guard, universities, and private sectors. ​On 3 October 1996, 26 DoD personnel met at an Association discussion group held in conjunction with the Annual Conference of TWS in Cincinnati, OH. A military paper session was held at this TWS meeting, and at the discussion group it was decided to promote another military paper session (Dave Tazik chaired the 1996 military session.) for the 1997 TWS meeting in Snowmass, CO. Chester Martin agreed to develop the proposal and chair the session. Discussions were held on developing a formal DoD Military Lands Working Group with TWS. The January 1997 FAWN spent considerable space describing activities at the DoD Forestry Workshop at the Society of American Foresters 1997 meeting in Albuquerque, NM. This workshop was hosted by the Army Environmental Center. This type of coverage is indicative of NMFWA’s move to include all of natural resources, and it was noteworthy that the need for NMFWA support to help prevent “outsourcing” of forestry programs by the Air Force was discussed. The format was changed for the 1997 meeting. The North American dropped its Wednesday morning session, which enabled the Association meeting to start Wednesday morning instead of Wednesday afternoon. This enabled the meeting to be completed by noon Friday. Another innovation at this meeting was a meeting of the “newly elected” Board on Wednesday evening, before the annual meeting. This unofficial Board meeting, since they do not take office until after the annual meeting on Thursday, was designed to make the changeover to new officers more efficient. The Washington meeting included a field trip to the Secret Service Training Center and the National Wildlife Visitor Center. The end of 1996 and early 1997 brought about considerable concern on the part of NMFWA members regarding two issues... difficulties in obtaining funding for noncompliance programs (especially game management) and efforts to contract out natural resources management. The latter issue was created by Air Force contracting-out initiatives accompanied by a claim of compliance with Sikes Act provisions regarding contracting out. In addition to several format changes instituted during the 1997 meeting, it became increasingly evident that the Association had successfully made the transition into the world of efficient electronic media transmission. During his tenure, President Poole was relentless in the pursuit of enhanced efficiencies both in regard to governance and how the NMFWA interacted internally and externally. Timely interaction became the rule and because of it the Board grew in effectiveness. The Sikes Act reauthorization was re-introduced in the House by sponsor Congressman Don Young in January 1997. President Griffiths re-appointed Junior Kerns to the Sikes Act Committee, and the two worked to pass the reauthorization. President Griffiths continued to build on these efficiencies, enhanced many and continued the practice of retaining beneficial involvement of other Past Presidents by appointment of same to the following committees: Poole to By-Laws and Nominations; Kerns and Stout to Sikes Act; Wray to WMI Coordination, and Warren to Archives. Kerns once again led what was to become often-times frustrating (five year), routinely divisive yet eventually successful effort (Jan 98) to amend the Sikes Act. President Griffiths testified before the House Natural Resources Committee, Subcommittee on Fisheries, Wildlife, and Oceans regarding the Sikes Act. Once again, without direct involvement of NMFWA and support of other activities and non-government organizations with which we have gained much professional respect, the Sikes Act Improvement Amendments of 1997 would not have become a reality. NMFWA continue to outreach within the professional resource management community during September 97 with participation in the TWS Annual Meeting in Snowmass, CO. President Griffiths took the opportunity to refine plans for the forthcoming 1998 NMFWA Annual Meeting in Orlando and to discuss future opportunities with TWS as well as other ongoing topics during a special meeting of attending NWFWA membership. Internal communication within the Association continued to mature within the realm of electronic transmission with enhancements in availability of technology to most members, creation of a Web Page by Stout, and several individual commitments to ensuring that everyone received the benefit of information available. Additionally, President Griffiths appointed Jim Beemer as chair of an ad hoc committee consisting of the four Regional Directors and Wanda Deal to investigate feasibility of establishing internal subject matter Working Groups within NMFWA or to attempt joining with the TWS Working group structure. ​1998 began with both new challenges and opportunities. The future of the Association and level of support demonstrated within DoD were yet to be discussed again. President McHenry, with modified Bylaws in hand, embarked on her term in office with the mission of challenging the membership to enhance their individual level of involvement. Many opportunities and challenges faced the Association. Renewed attempts to again make A-76 a reality within the Defense natural resource management arena was obvious, consistent, and many times realized despite DoD direction to comply with requirements of the newly amended Sikes Act. Service-wide implementation of supplemental instructions to comply with the Act varied as significantly as their respective military missions. This action remains open at this point and is to become one of the more significant issues facing NMFWA. After passage of the Emergency Resolution concerning the Legacy Program during the 1998 Annual meeting, the Office of Secretary of Defense published revised information that the program was indeed alive and is attempting to facilitate improvements in the manner in which program information is disseminated to the field. While additional funding was yet to be restored to installations within the program, efforts by the Association continued to attempt renewed and strengthened funding levels within DoD. The Sikes Act committee had one final mission yet to accomplish. As an independent initiative, they recognized Junior Kerns for his exemplary dedication and tenacity as the chair and resolute champion of the effort, which resulted in reauthorization of this most important legislation. 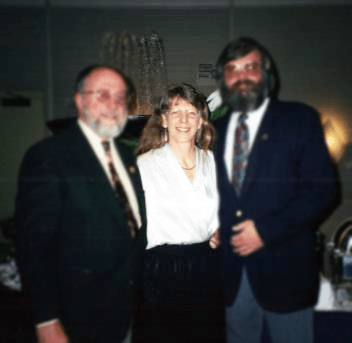 The mutually beneficial relationship between NMFWA and WMI continued during the year as planning for the 1999 meeting in San Francisco, CA gained momentum. The focus of the NMFWA meeting has realized a gradual and continuous development over the years becoming a recognized professional and technical endeavor worthy of the expense (Refer to FAWN, Volume XVI, Number 2, May 1998). Topics dealing with education, habitat restoration, aquatics and fisheries, wetland management, endangered species, and geographical information systems each added tremendously to the overall significance of this training event. Much of this success had its’ genesis within the 1998 membership acceptance and continued development of issue-specific guidelines for working groups within NMFWA (Herpetology Working Group chartered in late 1998) and continued stewardship of the webpage by Stout. As these teams of Defense professionals have worked together to coordinate on issues of concern, improvements in the way we do business have been realized and communicated to the membership. The anticipation for continuation of this positive trend in information exchange remained high for the 1999 meeting. Considerable debate was heard during the last several years concerning changing the name, membership base, organizational structure, focus, and logo of the Association. Consistent with before mentioned Bylaws changes accepted during the March 1998 annual meeting, the Association decided upon a new logo during the fall of 1998 (Note: see cover). The old logo, which served NMFWA well for many years, was retired with appreciation for a job well done. With a new logo and website, a professional membership base larger than ever anticipated, and a dedication evident within both the leadership and general member, NMFWA was well prepared in 1999 to continue the natural resource management mission so inherently tied to successful accomplishment of military training. As a result of 1998 amendments to the Constitution and Bylaws, a new Government Affairs Committee was created. Recognizing potential significance of this Standing committee, President McHenry appointed President-elect Mark Hagan with responsibility to both Chair this committee and enhance Association awareness/involvement in Congressional and DoD issues of interest. Not only did McHenry provide insightful leadership in the formulation of this committee charter, she provided and facilitated creation of what was to become the standard for leadership involvement by future Association Presidents. Once again the Association faced the challenge of enhanced and renewed efforts by most services within DoD to implement the review of inherently governmental functions under the OMB Circular A-76 program. Both President McHenry and Hagan as Chair of the Government Affairs Committee dedicated themselves to working this issue. Thru their combined efforts, NMFWA continued to challenge implementation of the program in considered violation of prohibitions identified in the Sikes Act. This natural resource management challenge, which became the pivotal focus for the Association during 1999, was unfortunately to continue into the new century. During March 1999 NMFWA continued the successful relationship with the Wildlife Management Institute (WMI) and held its annual meeting in San Francisco, CA in conjunction with the North American Wildlife and Natural Resources Conference. Approximately 175 DoD natural resource management professionals attended the business meetings and participated within various technical sessions. This year, as in the past, technical sessions presented a wide variety of professional management topical discussions and presentations. Technical Session topical areas included the following: DoD Integrated Natural Resources Management Planning; Southwest Desert and Arid Lands Management; Monitoring DOD Activities to Meet Regulatory Requirements; Managing Riparian Corridors and Buffers and Working with the U.S. Fish and Wildlife Service. In addition, the NMFWA Herpetology Working Group conducted their initial meeting, and the second annual Bat Conservation International Workshop was completed with 36 individuals in attendance. Due to efforts of Jim Beemer (Eastern Director), TWS authorized the granting of “contact hour credit” towards the Society’s Professional Development Program for attendance at both the Bat Workshop and NMFWA technical sessions. This recognition is once again appropriate testimony for considered professional significance and integrity of the NMFWA sponsored annual training conference. One historical strength of NMFWA membership had long been its ability to rapidly spread the word on whatever the issue of special concern. Through her leadership, President McHenry recognized this continual need and facilitated development of what was to become the popular and effective NMFWA Web-site. Through this use of electronic media, the membership, partners, and interested public each were afforded the enhanced opportunity to become informed and hence provide value added discussion regarding DoD natural resource management issues. As President McHenry concluded her term in office, the Association found itself on both solid fiscal and membership ground. With account balances in excess of $26,000.00 and a professional DoD membership base of approximately 850 individuals, the Association was undeniably becoming a potentially significant force for continued professional natural resource management on DoD administered lands. President Hagan began his term in office where he left off as the previous Government Affairs Committee Chair, dealing once again with the A-76 issue. Through his leadership, the Association Board of Directors (BOD) unanimously passed a motion authorizing the retention of legal counsel, should it become necessary to implement that strategy to address continuing violations of the Sikes Act. Hagan and President Elect Dave Tazik continued the past precedent established by McHenry and teamed to continue efforts on this issue. Neither realized that before year end that the first legal challenge would materialize at Edwards Air Force Base, CA. Hagan and Tazik were tenaciously relentless in their efforts to keep the BOD and membership involved and actively engaged in this considered most important of issues facing both natural resources and those management professionals potentially or directly affected. The membership was actively engaged, as were our partners in other professional organizations. These active partnerships grew and developed and included such organizations as TWS, NWF, WMI, International Association of Fish and Wildlife Agencies, and Public Employees for Environmental Responsibility (PEER). (Note: NWF passed their second Resolution Supporting Enforcement of the Sikes Act during March 2000). In spite of growing significant individual difficulties at some installations, these efforts netted positive result. Through the successfully deployed combination of administrative, political, and legal maneuver, localized success stories began to demonstrate themselves during late 1999 and early months of 2000. With the foreclosure of outsourcing efforts involving natural resource management personnel on some military installations, the considered opportunity for continued success gained renewed vigor and added emphasis. Efforts would continue, as they had for many years. The future, as of yet unwritten, will demonstrate however successful NMFWA would be in this most important of endeavors. One hallmark of the Hagan administration during 1999 and early 2000 was to enhance the ever increasingly active role of the BOD in governance and administration of Association business. Additionally, with advances in interactive communication capabilities resulting from refinements in the NMFWA website, Internet connectivity, and opportunity gained to meet individually and as a group at other professional venues (particularly with TWS), the general membership was likewise provided the opportunity to remain actively engaged as well. For several years, the membership had been considering changing meeting venue and relationship with WMI and the North American. After careful consideration, the BOD decided to continue the current mutually beneficial relationship with WMI and to hold the NMFWA annual meeting in conjunction with the North American through 2005. As the Association prepared to conduct the 2000 Annual meeting in Chicago, the membership remained actively engaged and focus towards challenges facing continued natural resource management and stewardship on military lands. NMFWA had come a long way and matured significantly since its unofficial formation over two decades earlier. Our increasing recognition and credibility as professional natural resource managers was obvious. That recognition served equally the entire DoD and all uniformed service members in sustainment of our mutual training mission responsibilities. Those dedicated individuals who facilitated creation of this organization would be undeniably proud. ​The March 2000 meeting was a tremendous success. This meeting was rapidly becoming an actively sought after venue for professional management program information. Attendance by both DoD and non-DoD affiliated personnel continued to increase. Technical papers presented were on or above par with other similar professional meeting opportunities. Service Branch leadership continued to present pertinent program updates during sessions, and the NMFWA annual business meetings were energetic, informative, and most interactive. The June 2000 edition of the Association Newsletter, FAWN, contains more detailed reports of the meeting.